The Census Bureau recently released annual estimates of building permits issued at the county level. In 2013, 1,807 counties and county equivalents saw an increase in the number of single family permits issued over the prior year while 858 saw a decrease. County equivalents include the 64 parishes in Louisiana, 16 boroughs in Alaska, and 42 independent cities. The map below provides a visual of the change in annual permit estimates in 2013 for single family units. 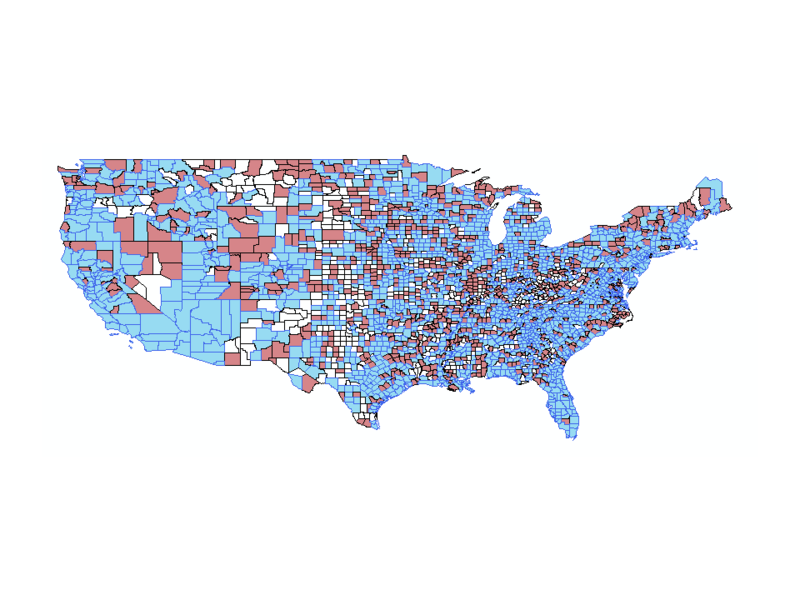 Counties in blue saw an increase in the number of permits issued for single family housing units while the counties in red saw a decrease in the number of permits issued for single family housing units. Counties that saw no change, no permit activity, or with insufficient data are white. In 2013, 820 counties and county equivalents saw an increase in the number of multifamily permits issued over the prior year while 675 saw a decrease. One thousand four hundred and seventy-nine counties saw no multifamily permit activity in 2012 and 2013. 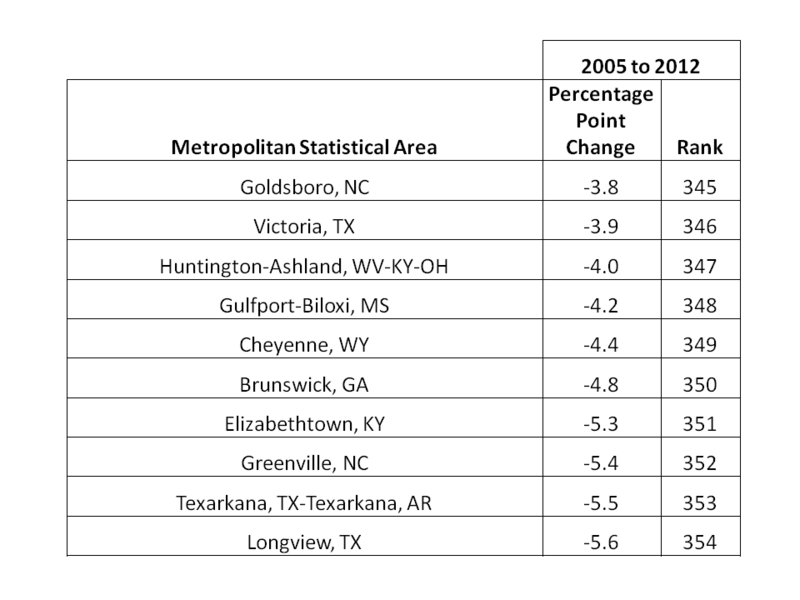 The map below provides a visual of the change in annual permit estimates in 2013 for multifamily units. Again, counties in blue saw an increase in the number of permits issued for multifamily housing units while the counties in red saw a decrease in the number of permits issued for single-family housing units. Counties that saw no change, no permit activity, or with insufficient data are white. 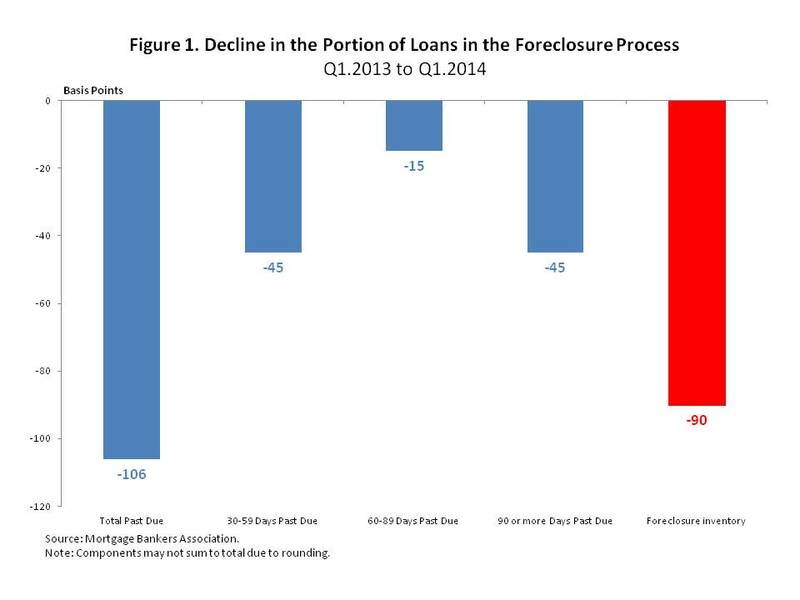 The issuance of housing permits is a key metric for the housing industry. The number of housing permits issued has risen in recent months and are over one million for the third consecutive month. The Census Bureau collects data on building permits issued for new privately-owned residential housing units. The statistics are compiled through the Building Permit Survey (BPS) which is sent to permit-issuing jurisdictions. 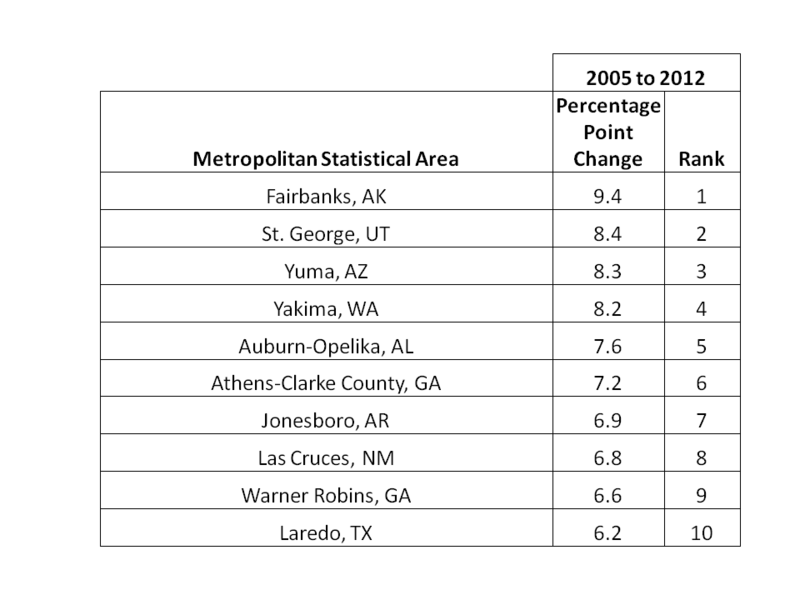 NAHB makes the most recent data available to the public for the states, the District of Columbia, and metropolitan statistical areas in the Construction Statistics section of NAHB.org. 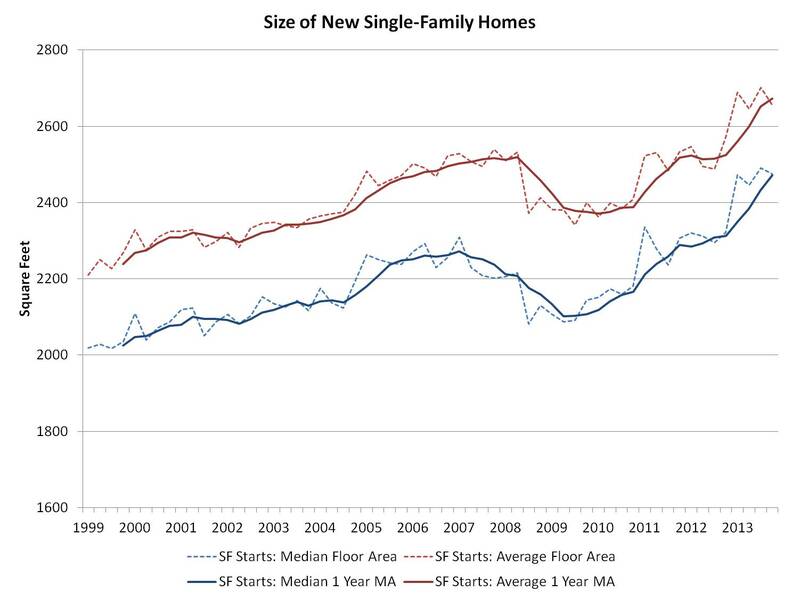 Single-family starts built-for-rent were effectively unchanged at 4,000 starts for the first quarter of 2014. While the market share of built-for-rent single-family units remains elevated, the share and count of starts appear to be declining off post-Great Recession highs. 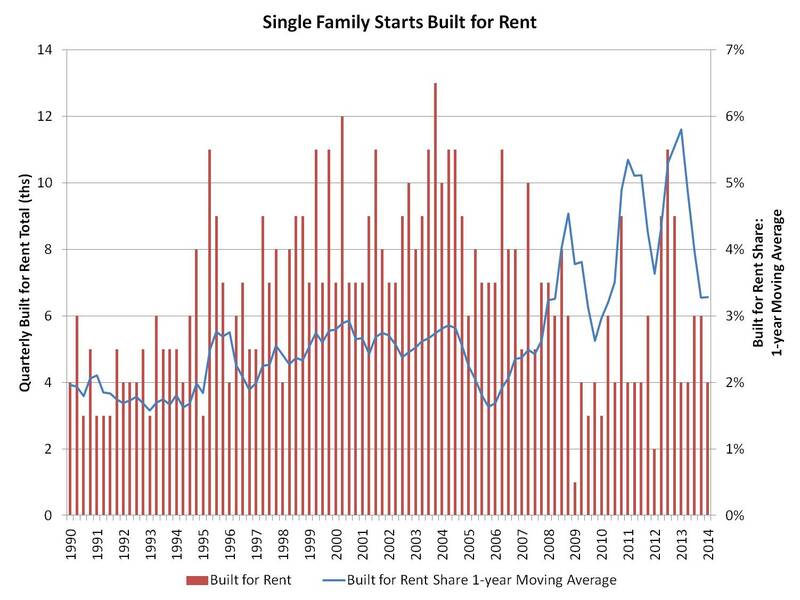 According to data from the Census Bureau’s Quarterly Starts and Completions by Purpose and Design and NAHB analysis, the market share of single-family homes built-for-rent, as measured on a one-year moving average, stands at 3.3% for the first quarter of 2014. This remains higher than the historical average of 2.8% but is down from the 5.8% registered a year ago. With the onset of the Great Recession, the share of built-for-rent homes rose, with a dip in the percentage during the homebuyer tax credit period. Despite the elevated market concentration, the total number of single-family starts built-for-rent remains fairly low – only 20,000 homes started during the last four quarters. It appears the market is returning to historical averages after recent peaks in this form of construction. The size of a typical new single-family home declined slightly for the final quarter of 2013, although the trend for the year was one of increasing size. 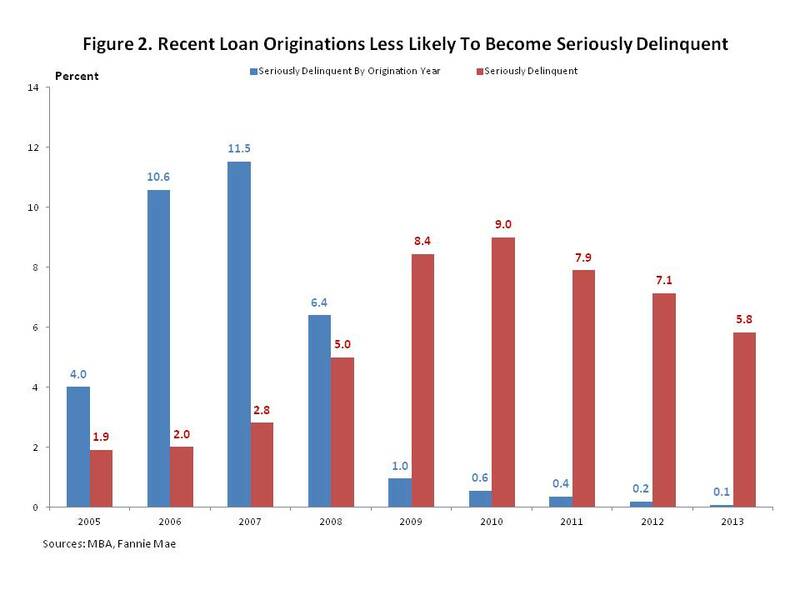 The trend is likely due to an atypical mix of buyers. 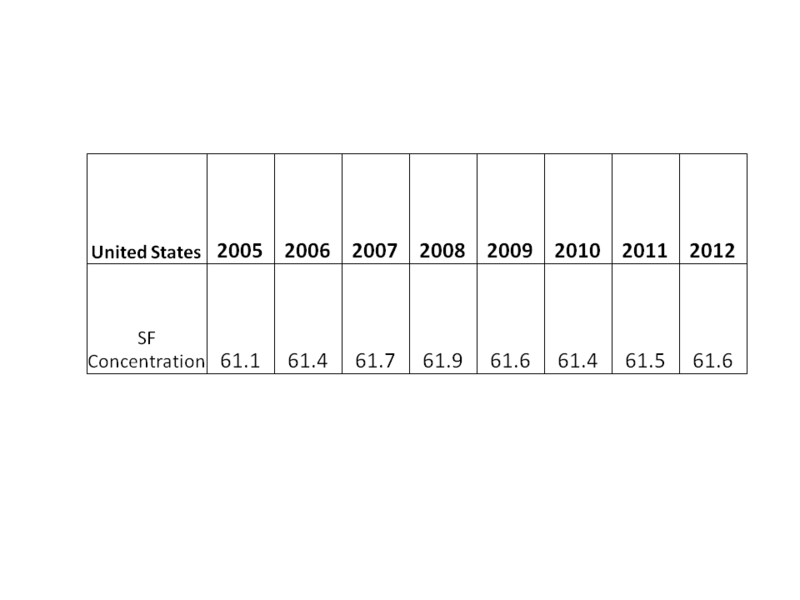 According to fourth quarter 2013 data from the Census the Quarterly Starts and Completions by Purpose and Design survey, the average single-family square footage decreased from 2,701 to 2,656, while the median fell from 2,491 to 2,475. On a less volatile one-year moving average, the trend of increasing size during the post-recession period is clear. Since cycle lows and on a moving average basis, the average size has increased 13% to 2,673 square feet, while the median size has increased more than 17% to 2,471 square feet. A national survey of 271 jurisdictions conducted by Duncan Associates in 2012 reveals wide cross-country differences in impact fees that individual jurisdictions charge. The map below presents state averages for standardized single-family units (three-bedroom, 2,000 square-foot units, at density of 4 units per acre and value of $200,000). These averages are for communities that actually charge impact fees and include all categories of impacts (utility, schools, roads, parks and so forth). 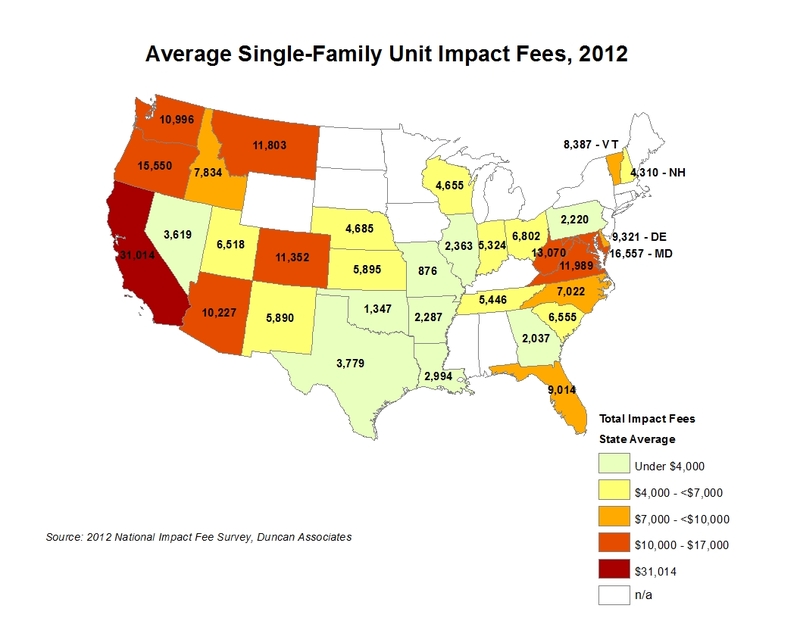 Jurisdictions in California charge the highest impact fees in the nation by far, on average $31,014 per standardized single-family unit. Maryland and Oregon are distant second and third with the state averages of $16,557 and $15,550, respectively. The map below only reports averages for states represented within the survey. Jurisdictions in Florida, Washington, Maryland, Vermont and West Virginia (only 1 jurisdiction in WV was surveyed) report substantial school impact fees. California’s school fees are also common but are capped by state law. In states where school fees are not charged, utility, road, and park fees are the largest and most common components of total impact fees. Impact fees charged for fire, police, and library are typically smaller and less common. For details and more information about the composition of the fees and the fees for other land use types see: Clancy Mullen, Duncan Associates, National Impact Fee Survey: 2012, August 2012 (http://www.impactfees.com/publications%20pdf/2012_survey.pdf).